The most common reason mothers-to-be come to visit 4D Peek a Boo early in pregnancy is to find out the gender of their baby. This is a very exciting point in pregnancy and often comes along with a lot of anticipation and excitement from mom and family. The most common questions we get asked are “how early can you determine gender?” The second question being, “how long will it take to see the gender?” We can determine gender starting at 15 weeks, normally with ease. How long will it take?- this will greatly depend on the position of the baby. Most of the time we can see the gender within a few minutes. Once we see the gender though, we don’t stop there; we keep scanning and look at the gender from a few different angles to make sure we determine the gender correctly. When is the best time for your ultrasound? What to expect during your gender determination visit. You may be wondering what to expect when you come for gender determination at Baby Bump since this will probably be your first visit with us. Before your scan begins, you can expect to walk in the door and be greeted by our wonderful staff at the front desk who will help make you feel at home and comfortable while you wait (anxiously). When it is time for your scan, you will be taken into a warm and inviting large room with plenty of room and couches for family and friends to sit and watch with you. Becoming a big sister or big brother is also very important, so we always welcome little ones to come to your appointment with you. Your family will be able to see the ultrasound on our large projection screen and get to share in the excitement with you. Once we start scanning, you will see the baby first in 2D (even if you came in for a 4D/HD ultrasound). This is because gender is ALWAYS determined in 2D. And actually, in order to obtain a 4D or HD image, we have to begin with 2D. Depending on the position of the baby, we will either look at the gender first or listen to the heartbeat. When we do see the gender of your baby, we will announce the gender and point it out on the screen for you to see. Unless of course you are planning a gender reveal party. In that case, we would turn off the projector screen while we find the gender and then we would put the gender pictures in an envelope so your family and friends can plan your big reveal. Once we have done that, we would then turn back on the projector and let you see your baby kick and move. We will spend some time saving images for you to take home. After that, you can go shopping!! One last note we would like to make- when you go for your diagnostic ultrasound around 20 weeks and you are told they cannot see the gender, it does not necessarily mean that the gender cannot be determined, it most likely means the sonographer has used his or her allotted time to assess your baby’s health and cannot look any longer for the gender. If you choose to come to Baby Bump for a gender ultrasound, we will determine the baby’s gender- whatever it takes. It is very (VERY) rare that we are unable to see the gender, but if that is the case, we will happily bring you back- free of charge (as long as you are 15 weeks or more). If you have any further questions about gender determination (or anything ultrasound related), we encourage you to contact us and we would be more than happy to speak with you! 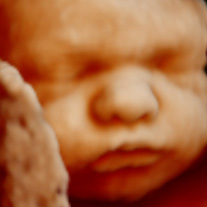 Please note that our 3D ultrasounds and 4D ultrasounds can only be performed on pregnant women who are under the care of a physician. Please call one of our 3D 4D HD facilities should you have any questions regarding 3D or 4D ultrasound or if you need to make an appointment.